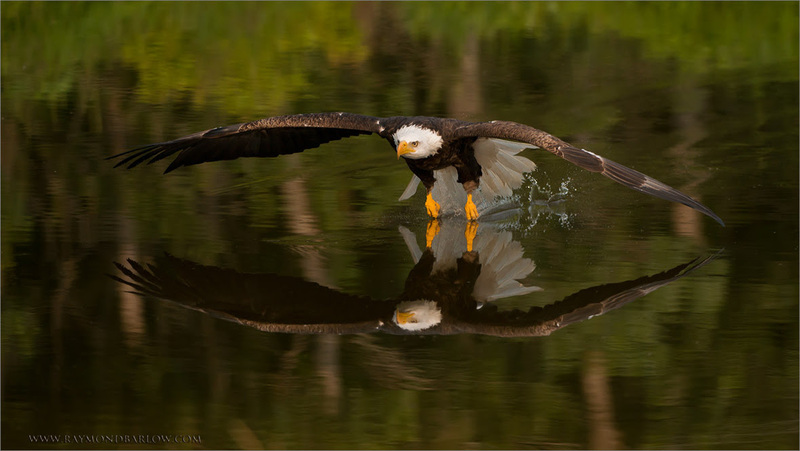 This entry was posted in Birds, Birds of the Bible, Birdwatching and tagged Bald Eagle, Christian, Creation, Flying, Nature, Photography, Raymond Barlow. Bookmark the permalink. 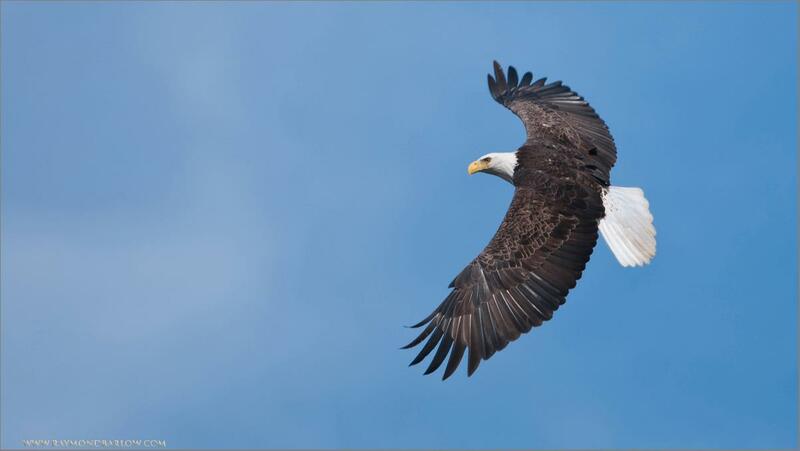 I saw a bald eagle like this on my way to work this morning. It flew down out of a tree with a big stick and I could have got an amazing photo if I had not been driving. It just makes you praise the Lord when you see a magnificent creature like that! 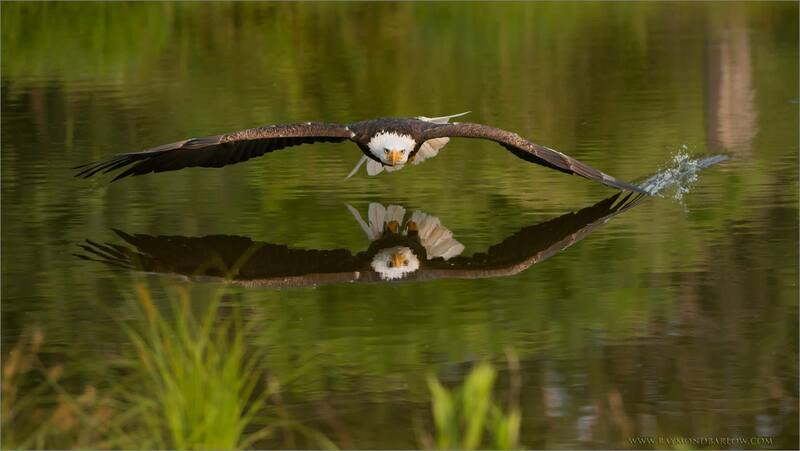 Magnificent images of a magnificent bird created by a much more magnificent Creator. Thank you all for your comments. We serve an Awesome God!! I’ve been dreaming of capturing a perfect photo of an eagle since I started taking pictures. Your photos are fascinating. Thanks Mark.Check out Ray’s link. He even does workshops. 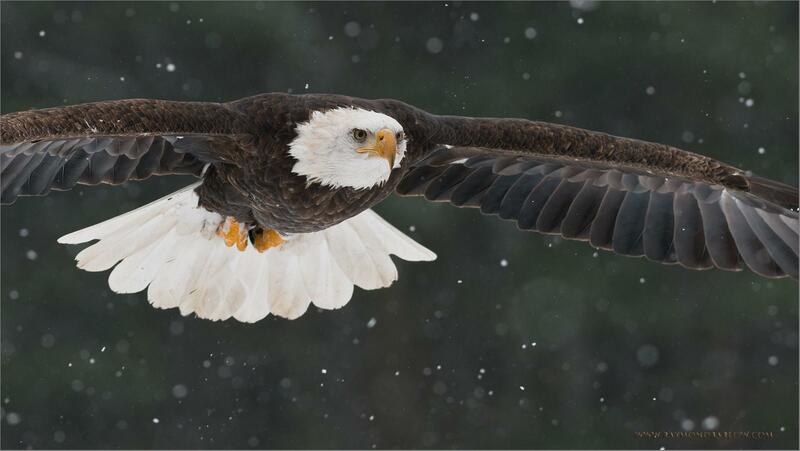 This eagle is a captive one that he gets to use for training photographers in his workshops. I think. Greetings to you also. Thanks. 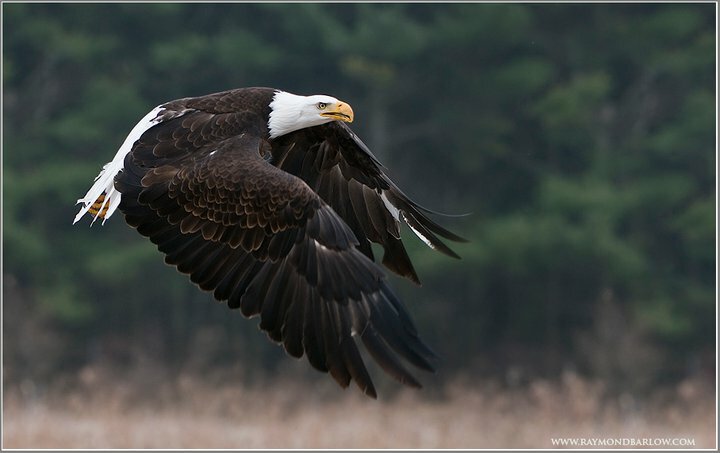 Several observations of majesty quickly come to mind: (1) the BALD EAGLE is majestic in its flying; (2) RAYMOND BARLOW has a majestic talent, that is majestic both artistically and technologically, for photographically “capturing” these Bald Eagles in flight; and (3) GOD’s majestic Creatorship, which includes (3a) His bioengineering work in the Bald Eagle’s software and hardware (design and construction), — as well as (3b) His bioengineering work [both software and hardware design and construction] in Raymond Barlow’s ability to imagine and to photograph the Bald Eagle, — as well as (3c) His bioengineering work [both software and hardware design and construction] in the inventor(s) of the photography equipment that Raymond Barlow used to photographically record the Bald Eagle flight images as photographs, — as well as (3d) His bioengineering work [both software and hardware design and construction] in equipping Lee Dusing to operate this ornithology/birdwatching website! 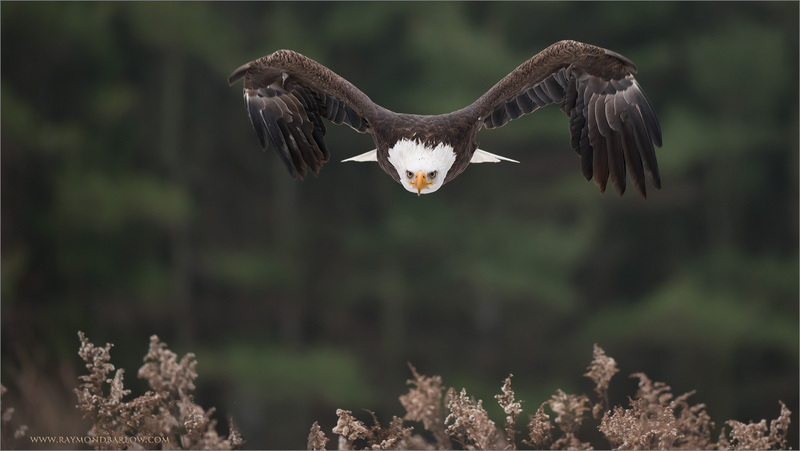 That’s a lot of interrelated majesties that we can enjoy — just by viewing the spread-winged eagles in today’s photographs — as we read about the truly majestic Bald Eagle. That is quite an explanation of Majesty. Thanks and well said. I love how it takes all of us inter-working together. The Lord gives many varied talents and the most beautiful bird.